Chris: Reaching the internet’s attention slightly too late for last week’s TWC was this clip of 42 Saint Bernards, whose collective slobbering bears a certain sonic resemblance to drone music. Maura Johnston compiled a guide for “how not to write about female musicians.” Clip it, save it, print it out and laminate it, whether you’re a man who covers pop music or someone who just listens to it. 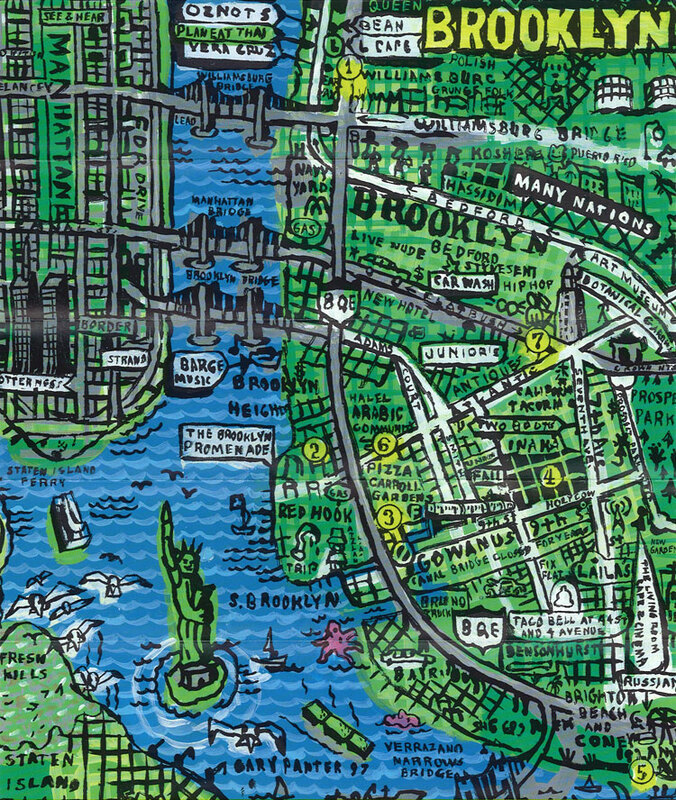 Brooklyn, 1997, as drawn by Gary Panter.